Like quite a few women I know, I am always on the search for the best skincare products. So when I got the opportunity to try Dead Sea Sensation's products, I was ecstatic. Immediately, I went to their website to check out the benefits of Dead Sea minerals. Boy, was I surprised at all the things they could do for your skin! Dead Sea minerals can help with acne, aging, psoriasis, dermatitis, skin allergies, dry skin, and more! Not only were there the minerals and salts that got me excited, but also the fact that all of their products are all natural and organic, are paraben and "harmful chemical" free, are cruelty free, and have all been tested for allergies. Since I have sensitive skin in the best of days, I was extremely excited to try it out! Two days after talking to Abid from Dead Sea Sensation, I had their Facial Care Collection for Her sitting on my doorstep. Inside are four travel sized bottles (the actual amount is not labelled, so I'm not certain how much product is in each, but safely below TSA's 4oz), one each of the Natural Facial Black Mud Mask, the Mineral Based Facial Scrub, the Natural Mineral Day Cream, and the Mineral Salts Night Cream. 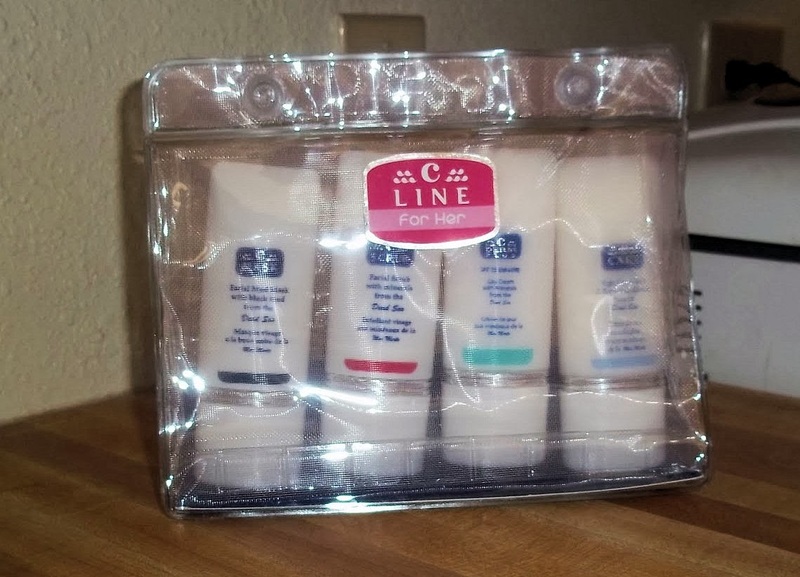 This kit retails for $37.00 on their website. What I noticed immediately was that, though the fronts clearly stated what was in each tube, the backs were almost completely blank! The only thing on the backs is a stamp stating the batch number and the expiration date. There were no directions, no ingredient list, nothing. I went searching on the website to find instructions and ingredients, but the only thing I could find was that the mask was supposed to take 15 min. I was especially curious about instructions for the mask, since I've used mud masks that you are supposed to let dry as well as masks that you simply rinse off, dry or wet, after a certain period of time. I found this frustrating also, because I have a friend who has a few allergies to some natural products, but I couldn't verify that these were free of those allergens , and therefore, couldn't let her try it. This was the very first night, before using any product. by my right ear. Also, I had a full face of makeup on. Even with the lack of information on the packaging and website, I love this stuff. The very first evening I used it, I was amazed by how much my skin loved it! I started off with the scrub, which has a pleasant, fresh scent (it's actually my favorite of all, though none smell bad or overpowering). It is a gentle exfoliant, not enough to scratch or irritate my skin, but plenty to effectively exfoliate the dead skin off of my face. I ended up using this about every 2-3 days, in the evening. After rinsing the scrub off, I treated myself to the mud mask. As I left it on for the recommended 15 minutes, I could feel a slight tingling while it dried, though no burning sensation like I have experienced with some other masks. Although it is a mud mask, I found it very easy to wash off and was delighted to find that, even after one use, my skin looked brighter and fresher. I use it about 2-3 times a week, before bed. I finished up that evening with the night cream, which has a soft, almost floral, scent. This, by far, was my favorite product. Not only did it not leave my skin feeling greasy or oily and not trigger any acne flares, but it also left my face feeling SUPER soft and silky! It transformed my desert parched face so radically, after just the one application, that when I crawled in bed next to the Mr, he remarked at how soft my face was and asked what did I use. Safe to say, I now use this every night after washing my face. Also included is their day cream, which has an SPF 25 UVA/UVB. Being a pasty white girl who shies away from direct sunlight like a vampire, I was pretty stoked about that. As it has the SPF, it does have a faint sunscreen smell, but is not unpleasant, and dissipates quickly. This cream, like their night formula, also does not leave my skin feeling greasy or oily, but instead smooth and creamy. 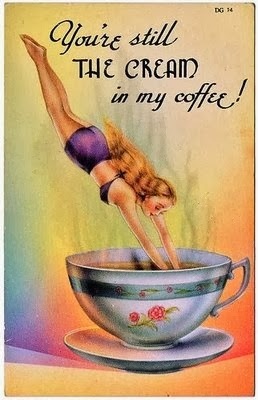 I use this every morning. After a couple weeks of using this kit, I found my skin feeling softer, looking brighter, and I was having less acne problems in general, but, most importantly, I had no more cystic acne. This was a couple weeks after, just out of a shower, no makeup, no cystic acne, but bright, soft skin! Even though the packaging is painfully vague, I really do love the product, and the only mud slinging I'm going to do is on my face, because I love it! I am most likely going to get more once I finish my kit. To try Dead Sea Sensations for yourself, visit their website or check them out on Facebook! ~ Anything Goes, Freedom Friday. ~ Get Schooled Saturday, Serenity Saturday, Weekend Re-Treat. ~ Cast Party Wednesday, Whimsy Wednesday. ~ Fabulously Frugal Thursday, Thrifty Thursday, Thursday Favorite Things. Got the munchies? The solution is MunchPak, a box of goodies delivered right to your door at your choice of intervals: weekly, biweekly, or monthly. MunchPak comes in three different sizes, Original, Mini, or Family. Why would you want this service - surely going to the store is good enough? Of course, one could go to the store, but what MunchPak delivers is entirely different. First and most importantly, their snacks come from all over the world, places like Japan, UK, and even treats that are available only locally in various places in the U.S. Also, it comes right to you, so all you have to do is open your door to get this amazing box of goodies! As their website says, "MunchPak was created and developed by two guys who love to snack and hate running to the store. " That sounded right up my alley, and I was lucky enough to receive one of their boxes so I could tell you about them. When the box first arrived, I eagerly opened it and poured out the treats onto my counter, and I was shocked. I thought to myself, whoa! They must have sent me a whole bunch of extra stuff to give a really good impression. But no, when I contacted the company so that I could be sure to include what size I had received in my review, I was told that this was the original sized MunchPak, and that the Family size was about double in size. I did a double take and pulled up their website, thinking maybe I was misremembering the cost of this box. Nope! This massive box of goodies was priced at $13.95, with shipping included. Their other sizes are the FamilyPak, for $24.95, which is approximately double the size, and the MunchPak Mini, for $7.95, about half the size of the Original MunchPak, which is what was sent to me. The first treat that caught my eye was one called "GooGoo Cluster", which sounded like a really odd name for a piece of food. I read the label and decided it sounded pretty darn good, so I opened it up and bit into it. It was absolutely amazing, it became my new favorite candy in just a single bite! I cut it in half to share with my husband and he agreed that it was fabulous. I quickly looked up 'GooGoo Clusters' online and discovered that this piece of candy is only available in one tiny area in our nation, and yet here it is included in my box of snacks. This is an excellent example of how MunchPak delivers new treats that you might never have found at your local store, all without having to even go anywhere. Looking at the number of treats that was included, I don't even know how they are making money on these boxes, they are an amazing value and such an exciting thing to receive in the mail. Not only is this the sort of amazing box that is fun to receive, I am sure this would be an amazing gift for a fellow snack lover. My children also had a lot of fun trying out some new snacks and treats, and asked for some of them to be purchased again in the future. If you're looking to change up your snacking and try new snacks from all over without even needing to get in your car, this is definitely the box for you. 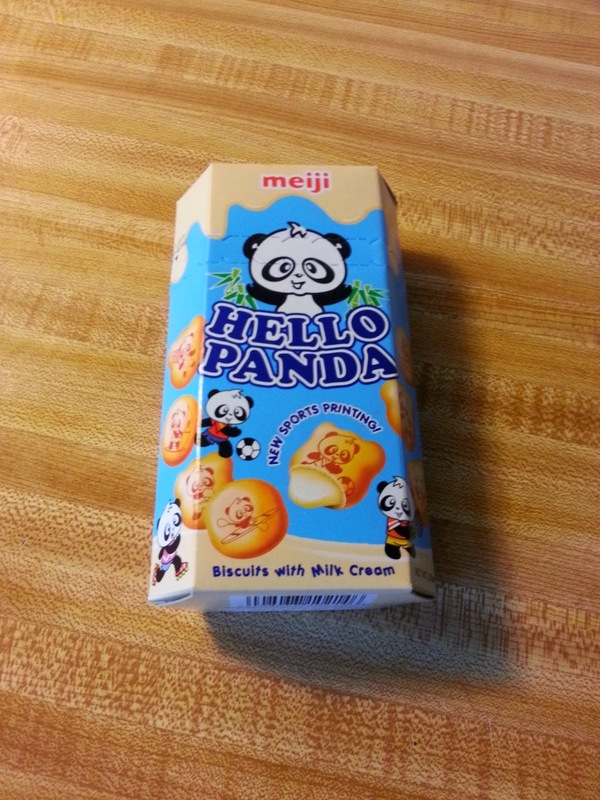 Hello Panda Biscuits: Really neat new item to try and the little pictures on the biscuits were adorable. The whole family sat down and enjoyed comparing pictures, such as a panda playing tennis, a ninja panda, and they tasted good too! Kudos Bar - Snickers flavor: This isn't a new item to the household, but it was a nice addition. I feel less guilty eating these than I do an actual candy bar! Japanese cocktail peanuts: These were really neat, I've never had them before and it was definitely a new way to eat peanuts. Each nut was covered in a crunchy coating with a biscuit sort of consistency, only with more air. They were strangely hard to put down. A humorous side note: the brand name was De La Rosa, and they were made in Mexico. Caramac Bar: What an odd consistency for a candy bar, it reminded me of the butterscotch chips one buys in the baking aisle. Strangely delicious also. 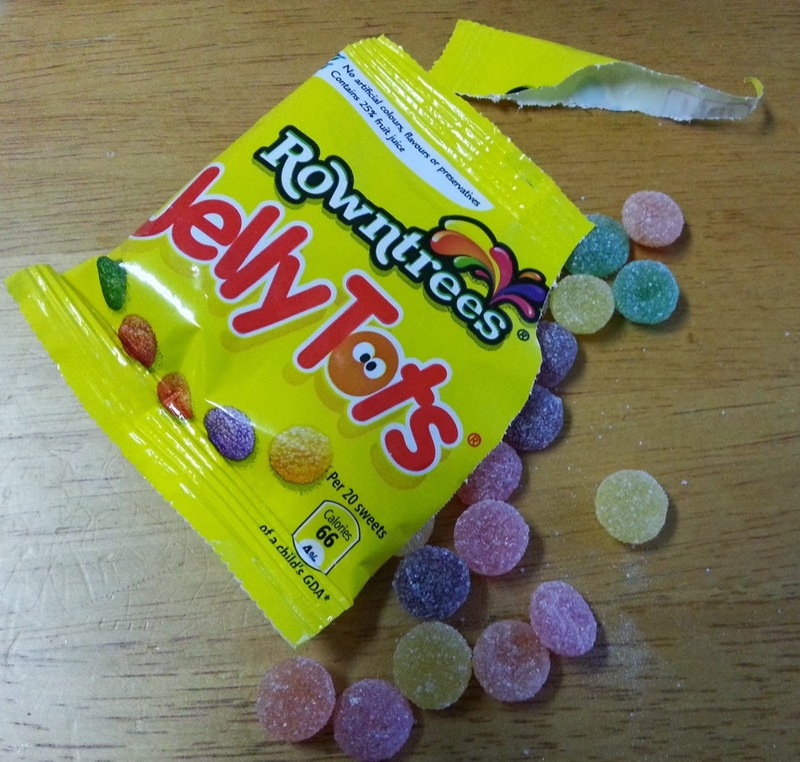 Jelly Tots: Not my favorite item. I split these up as a dessert for the kids one night, and tried a few myself. They tasted good, but were a little too hard to chew to really call "jelly". Kind of stuck in your teeth! Nonni's Biscotti: This was a really excellent inclusion into the box and made a wonderful snack with some afternoon tea. It's nice that all of the snacks aren't the same - not all candy, not all of any one category, but truly an assortment and variety of snacks. By the way, if you like biscotti, be sure to check out this recipe! Moon Pie (vanilla): I've never had a Moon Pie before, and maybe this is heresy, but I feel like I can live without them. My husband gladly finished off the rest, and informed me that the chocolate ones are much better. Walnut Whip: This was a large single candy that looked like a chocolate beehive, filled with whipped marshmallow and topped with a single walnut. I feel like I missed the point this one. Quaker Big Chewy: Who doesn't love Quaker bars? This made a great 'I didn't eat enough breakfast' snack one day while doing some chores. Trail Mix: What can I say? A nice inclusion that I stored in my glove compartment for some future moment of snacking deprivation. Fruit Pastilles: A nice treat from the U.K., these tasty little candies have no artificial colors, flavors, or preservatives, and contain 25% fruit juice. Curly Wurly: I have no idea where this is from - it has information for the U.K. on it, but also there was what looked like writing from the Middle East on it. In any case, it was delicious, a swirling line of caramel covered in chocolate, hard to chew but worth every bite. GooGoo Cluster: The best thing in the whole box. My only complaint? There was only one! I received no monetary compensation for this review, however I was provided with the product for free for purposes of review. All opinions are my own. Click here see our full disclosure policy. ~ Cast Party Wednesday, Pretty Wednesday, Wake Up Wednesday, What's It Wednesday, Whimsy Wednesday. ~ Fabulously Frugal Thursday, Thursday Favorite Things. This week's giveaway is especially for parents and caretakers of young children ! 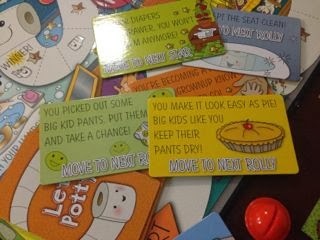 Back in December, our reviewer, Anne Cone, tested out the Let's Potty Potty Training Board Game with her son. 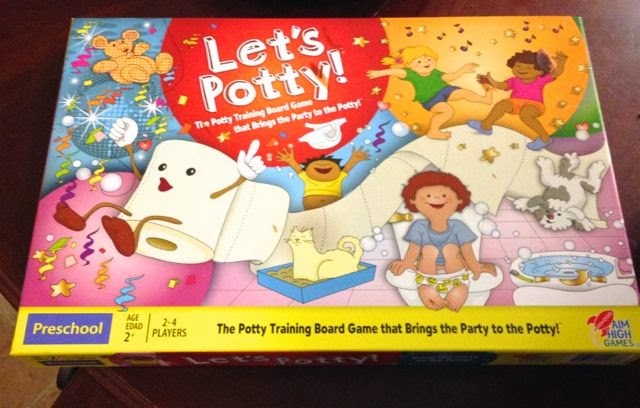 Her review shows how this game is not only a fun activity for parents and toddlers, but is also a training tool that gives children the concepts and vocabulary necessary to a successful potty training experience. Potty training is almost universally regarded as a difficult, unpleasant, and tedious for both adult and child - but it doesn't have to be. Let's Potty helps create a positive and fun environment for learning. Aim High Games, Inc. has generously offered to give one of our readers a board-game of their own! If your child is not yet ready to be trained, tuck it away for the day they show interest. We hope it will prove to be helpful as your child works through this milestone! This giveaway is open only to those in the US, and will end at 12:00 am EST on March 11, 2014. Good luck and happy Monday! ~ Blog Giveaways Directory, Chic Monkey Giveaways Linky, Cuckoo Giveaway Linky, FabFit40s Giveaway Linky, Giveaway Link Ups, Giveaways with RKTANOLI, Golden Ticket, Let's Pour Tea, Ongoing Blog Giveaways, Ongoing Giveaway Linky, Parents Perspective Giveaway Linky, Rafflecopter Giveaway Linky, Rafflecopter Giveaway Linky, Rafflecopter Only Giveaway Linky, Raindrops & Sunshine, WAHM Resource Site Giveaway Linky. ~ Best Giveaways Around, Contesting Monday, Got Giveaways?, Link Your Giveaways, Monday Giveaway Link Ups, Monday Giveaway Madness, Plenty of Sweeps, Tales of Mommyhood Giveaway Linky, Winning Rocks!. ~ Bless Their Little Giveaways, Fortune Follies Tuesday, Giveaway Linky By Country, Got Giveaways?, Hip Homeschool Hop, Link Up Your Giveaways!, Terrific Tuesday, Treasure Hunt Tuesday, Tuesday Giveaway Link Up, Tuesday Giveaway Linky, Toddler Ideas Tuesday, WIN at the Weekly, Why Buy It?. ~ Happy WINsday, Mom's Library, Moms Win on Wednesdays, Pretty Wednesday, Wake Up Wednesday, Wednesday Whatsits, What's It Wednesday, Whimsy Wednesday, Win It Wednesday Giveaway Linky, Win It Wednesday, Winning Wednesday. ~ Give-It-Away Thursday, Giveaway Link Up, Giveaway Linky Love Thursday, Giveaways Galore, Lilac's Linky, Thursday Favorite Things, Thursday Treasures, Thursday's Giveaway Linky. ~ Anything Goes, Blog Giveaway Roundup, Freebie Friday, Freedom Friday, Hen's Friday Giveaway Linky, Linky For All Giveaways, Round 'Em Up Friday, Sarah's Friday Giveaway Link Up, TGIF Fun Friday, Windy Pinwheel Giveaway Linky. ~ Blog Giveaways, Giveaway GAB, Giveaways Saturday, I Want to WIN Saturday, Saturday Giveaway Parade, Super Saturday Link Up. ~ Around the Blogosphere, Funday Sunday, Living Montessori Giveaway Linky, Sunday Linky Edition, Sunday Stroll. The more we recycle, the more often I find myself looking at 'trash' with an eye to how it might be repurposed. A used spice tin seemed to be full of possible uses but it sat tucked away at the back of the counter for a good long while before inspiration struck. Inspiration came in the form of my fruitlessly searching for five minutes for a pen to jot a 'quick note', and realizing that I do this all the time. I keep a magnetized notepad on the refrigerator, so it seemed like the obvious answer was to keep pens with it. 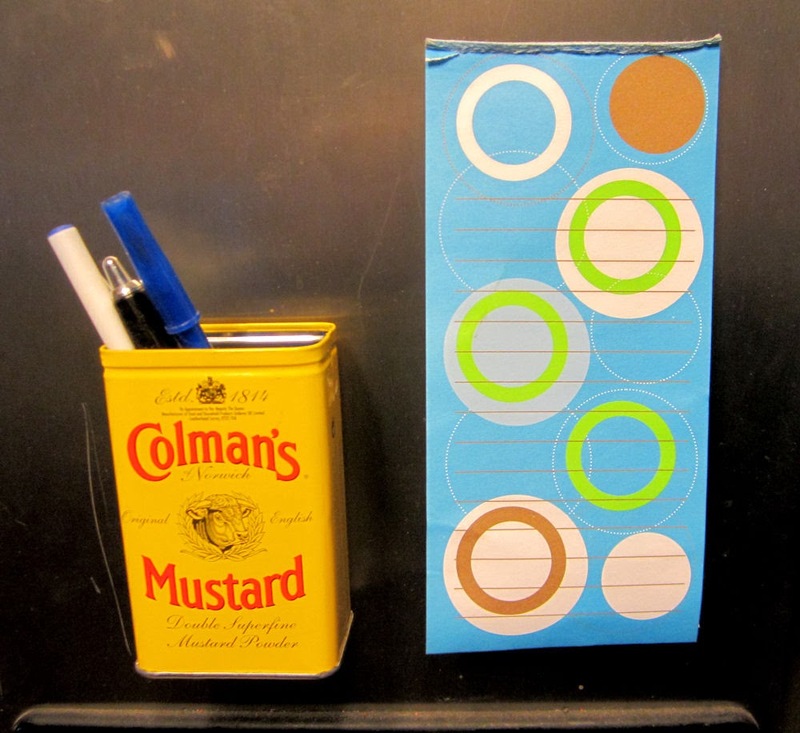 I considered and rejected attaching one to some sort of string, and then saw the dry mustard can. I had some strong magnets on hand, and applied two of them with a small dab of Super Glue - trust me, for a container you want two because otherwise, as soon as you put anything into it, it will spin in a circle and empty the contents out onto the floor. With these two magnets, it stays put and neither flips or slides down the refrigerator even when it is filled with small items. While this could be covered with decorative paper or fabric, I quite like the cheery yellow label, and have my eye on a couple more spice tins that aren't empty yet. If I didn't already have a notepad, I'd be happy keeping a stack of scratch paper in a tin for notes, and I also think this would be a nice container for frequently referred-to recipe cards. Other than the drying time for the glue, putting this together took far less than the time it took to find my wayward pens to tuck into it, and I'm very pleased with the results! Have you checked out our current giveaways? You can enter to win a lovely hand-crocheted beanie from Golden Hands Design until Monday, March 3rd, or a copy of the Let's Potty Boardgame that will help prepare your child for potty-training, until March 11! ~ A Round Tuit, Block Party, Busy Monday, Clever Chicks Blog Hop, Craft-O-Manic Monday, Craftastic Monday, Frugal Crafty Home Blog Hop, Give Me the Goods Monday, Homemade Mondays, Homestead Blog Hop, Inspiration Monday, Mad Skills Party, Make Your Home Sing Monday, Marvelous Mondays, Masterpiece Monday, Mix It Up Monday, Mod Mix Monday, Monday Funday, More the Merrier Monday, Mostly Homemade Monday, Motivation Monday, Much Ado About Monday, Natural Living Monday, Sweet Sharing Monday. ~ Anti-Procrastination Tuesday, Backyard Farming Connection, Be Inspired, Brag About It Link Party, Create - Link - Inspire, Do Tell Tuesday, Good Tips Tuesdays, Growing Homemakers Tuesday, Handmade Tuesday, Hearth & Soul Blog Hop, Knick of Time Tuesday, Nifty Thrifty Tuesday, One Project At a Time, The Scoop, Share It Link Party, Share Your Stuff Tuesday, Take It On Tuesday, Time To Sparkle, Too Cute Tuesday, Totally Talented Tuesday, Treasure Box Tuesday, Turn It Up Tuesday, Tuesday Talent Show, Tuesdays at Our Home, Tuesdays Treasures,Tutorial Tuesday, Two Cup Tuesday, You're Gonna Love It Tuesday. ~ Cast Party Wednesday, Chic By You Wednesday, Down Home Blog Hop, Fluster's Creative Muster, Homemaking Link Up, Homemaking Party, Inspiration Board, Link Up Wednesday, Lovely Ladies Linky, Party On the Porch, Penny Pinching Party, Pretty Wednesday, Show + Tell Wednesday, Wake Up Wednesday, We Did It Wednesday, Wednesday Round Up, Wednesday Whatsits, Welcome Home Wednesday, What We Accomplished, What's It Wednesday, Whatever Goes Wednesday, Whimsy Wednesday, Wicked Awesome Wednesday, Wonderful Wednesday, Wonderfully Creative Wednesday, Works For Me Wednesday, Wow Me Wednesday, Your Whims Wednesday. Happy Monday! I don't know about you, but I have had just about enough of winter for this year! Between the slippery roads and snow-buried sidewalks and the wind (did I mention cold? And wind?? ), I have been feeling a bit beseiged. Fortunately for me, I received a ridiculously cute and extremely warm hat a couple months ago from Golden Hands Designs and it has made all the difference for me! Since I first reviewed it, I've been enjoying my lusciously warm elf hat all winter (it truly has seen me through a couple of polar vortexes and several hours sitting in the snow around a fire with friends). So, it makes me very happy to announce that she's agreed to share one of her adorable unisex crocheted beanies with one of our lucky readers and we get to host the giveaway! This slightly slouchy beanie is made in a soft stretchy acrylic called "Patchwork" - chock full of neutrals and soft colors that will take its new owner through the rest of winter and into the blustery days of spring to come. Golden Hands Designs ships worldwide. The value of this beanie is $20.00 and a winner will be selected on Monday, March 3rd. Good luck! ~ Bacon Time Giveaway Link Ups, Blog Giveaways Directory, Crafts-Things Giveaway Link Up, Cuckoo for Giveaways, FabFit40s Giveaway Linky, Giveaway Monkey Giveaway Linky, Golden Ticket Low-Entry Giveaway Linky, Let's Pour Tea Giveaways, Momma Sweeps Low-Entry Linky, Ongoing Blog Giveaway Linky, Ongoing Giveaway Linky, Parent's Perspective Giveaway Linky, Rafflecopter Giveaway Link List, Rafflecopter Only Giveaway Linky, Raindrops & Sunshine Ongoing Giveaway Linky, Steady Hand Giveaway Linky, Sweeps Factory Giveaway Linky, WAHMResourceSite Giveaway Linky. ~ Katherine's Corner February Giveaway List, Sweeps4Blogges Daily Giveaway Linky. ~ Contesting Monday, Giveaway Gathering, Got Giveaways?, Link Your Giveaways, Monday Giveaway Link Up, Monday Giveaway Linky, Monday Giveaway Madness, Monday Morning Giveaway Link Up, Plenty of Sweeps Contest List, Posh on a Budget Giveaway List, Tales of Mommyhood Giveaway Linky, Winning Rocks!. ~ Bless Their Little Giveaways, Fortune Follies Tuesday, Frugal & Fabulous McLinky, Giveaway Linky By Country, Got Giveaways?, Terrific Tuesday, Treasure Hunt Tuesday, Tuesday Giveaway Link Up, Tuesday's Giveaway Link-Up, WIN at the Weekly, Why Buy It?. ~ Blog Giveaway Link Up Wednesday, Giveaways in Blogland, Happy WINSday!, Moms Win on Wednesdays, Want It? Win It!, Win It Wednesday, Winning Wednesdays, Winning WOW Wednesday. ~ Giveaway Directory, Giveaways Galore, Great Canadian Giveaway Link Up, Great Thursday, Lilac's Linky, Linky Love, Thursday Favorite Things, Thursday Giveaway Link Up, Thursday Giveaway Linky, Thursday Tell All, Thursday Treasures, Thursday's Giveaway Linky. ~ Anything Goes, Blog Giveaway Linky, Blog Giveaway Roundup, Freebie Friday, Friday Fun Sweeps, Hen's Friday Giveaway, Round 'Em Up Friday, Sarah's Friday Giveaways, Sonya's Weekend Giveaway Linky, TGIF Fun Friday, Windy Pinwheel Weekly Giveaways. ~ Blog Giveaways, Linky For Your Giveaways, Giveaway Linky, Saturday Giveaway Parade, Super Saturday Link Up. ~ Around the Blogosphere, Living Montessori Giveaway Linky, Sunday Linky Edition, Sunday Stroll, This Week's Giveaways. I love Mediterranean food! I could eat garlic, olives, feta, pita, hummus and wine for the rest of my life and be content. Probably not healthy. . . but content. One of my favorite things to eat if we have the luxury of visiting a Greek restaurant are Gyros! I adore well-seasoned gyro meat on fresh pita with tsatsiki and cucumber. I'm drooling just thinking about it! A few weeks ago I was looking for a way to spice up my cheesy mini meatloaf recipe. I dug through the fridge and discovered that I had feta and garlic stuffed olives and I began to formulate a plan. The result was this amazing recipe for meatloaf that tastes just like gyros! I hope you'll try it! First, gather your ingredients. For the meat, I used one pound of lean ground beef and one pound of ground pork. You will also need seasoned bread crumbs, kalamata or garlic stuffed olives, feta cheese, oregano, milk, egg and plenty of extra garlic! Take 1 cup of bread crumbs and place in a large bowl. To that add one cup of milk, 1 tsp oregano, 2-3 cloves of minced garlic and your egg. Mmmmmm, looks like parritch. Plunk your meat on top of that mixture. . .
Gently fold this all together. You don't want to over mix it or your loaves will be tough. Divide the mixture into 6 equal portions and form into mini loaves. Place on a foil lined baking pan that has been oiled lightly. Place in a 425° preheated oven and set the timer for 25 minutes. Wash up and prepare your broccoli. For this recipe I used 2 small heads of fresh broccoli. Chop into florets and place in a large zip bag. In a small bowl, whisk together 2 tbsp extra virgin olive oil, 2-3 cloves of minced garlic and 2 tbs grated parmesan cheese. Pour this mixture over the broccoli. Seal the bag and shake the living daylights out of it. Your family will likely walk into the kitchen at this point and wonder what the heck you are doing, but HEY cooking is fun! Shake the broccoli out onto a foil lined and well oiled baking sheet. When the meatloaves have about 12-15 minutes left, place the broccoli in the oven to roast. Shake pan to toss and redistribute the broccoli about 8 minutes in if you so desire. All those lovely browned bits are crunchy and delicious! I could eat this whole pan on my own! When your meatloaf timer goes off, check your loaves with an instant read thermometer. You'll want them to be a 140°. Allow them to rest for about 5 minutes before serving. We serve ours with the broccoli and a side of cous cous! In hindsite, I recommend cooking these loaves elevated on a rack of some sort so that the drippings can fall through. The beef is very lean but the pork will leave off quite a bit of fat. You may skip the pork and just use 2 lbs of beef, however the pork is so tender and flavorful. I highly recommend keeping it in! Cheers! I hope you enjoy my recipe! Please feel free to share, pin and reblog as you see fit. Just remember to link back to RCH. If you enjoyed this recipe, please check out my personal blog My Slightly Silver Lining. In a large bowl, combine bread crumbs, milk, oregano, garlic and egg. Add both meats, feta and olives. Gently combine. Form into six equal loaves. Prepare a baking sheet by lining with foil and spraying lightly with oil or cooking spray. Place loaves on baking sheet and bake in the oven for about 20-25 minutes. Place broccoli in zip bag. Wish together remaining ingredients in small bowl. Pour over broccoli, seal bag and shake until coated. Prepare a baking sheet by lining with foil and spraying liberally with olive oil. Spread broccoli onto baking sheet. Roast at 425° for about 12-15 minutes. Have you checked out our giveaways? Enter to win a months' free 3-meal box of homecooked Indian recipes and beautiful gifts from India from Tiffin Trove - ends on 2/24/14. 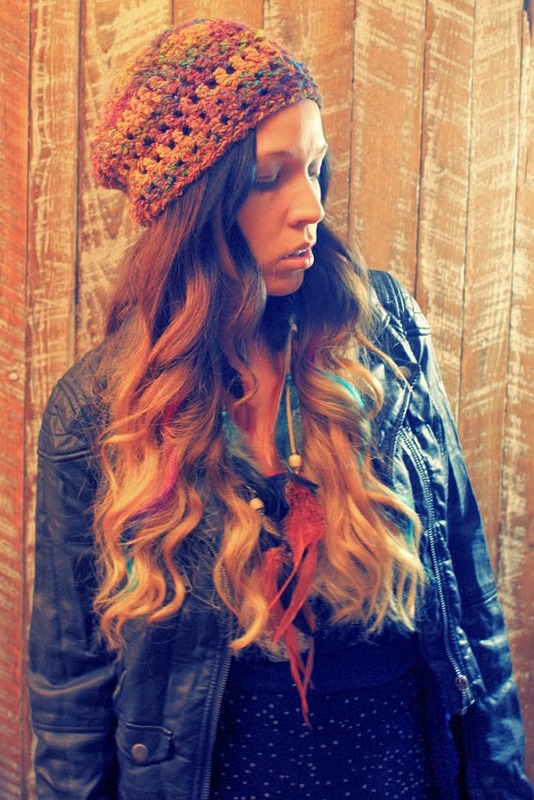 Then, check out this lovely hand crocheted beanie, being given away by Golden Hands Design - ends on 3/3/14. ~ Anything Goes Linky, Be Inspired, BFF Open House, Fabulously Creative Friday, Farmgirl Friday, Feathered Nest Friday, Flaunt It Friday, Foodie Friday, Foodies & Crafties Soiree, Foodtastic Friday, Freedom Friday, Friday Favorites, From the Farm Bloghop, Frugal Friday, Kitchen Fun & Crafty Friday, Old Fashioned Friday, The Party Bunch, Pinworthy Projects Party, Shabbilicious Friday, Show & Tell Friday, Thrifty Things Friday, Weekend Re-Treat. ~ Get Schooled Saturday, Link Party Palooza, Serenity Saturday, Show & Tell Saturday, Super Saturday, Weekend Potluck, Weekend Wind-Down. ~ DIY Sunday Showcase, Happiness is Homemade, Nifty Thrifty Sunday, Silver Pennies Sunday,Sunday FUNday, Think Pink Sunday. ~ A Round Tuit, Block Party, Busy Monday, Clever Chicks Blog Hop, Craft-O-Maniac Monday Link Up, Frugal Crafty Home Blog Hop, Homemade Monday, Homestead Barn Hop, Inspiration Monday, Make Your Home Sing Monday, Marvelous Mondays, Masterpiece Monday, Melt in Your Mouth Monday, Monday Funday, Mix It Up Monday, More the Merrier Monday, Mostly Homemade Monday, Motivation Monday, Much Ado About Monday, Recipe Sharing Monday, Sweet Sharing Monday, Thank Goodness It's Monday. What Does Valentine's Day Look Like to You? 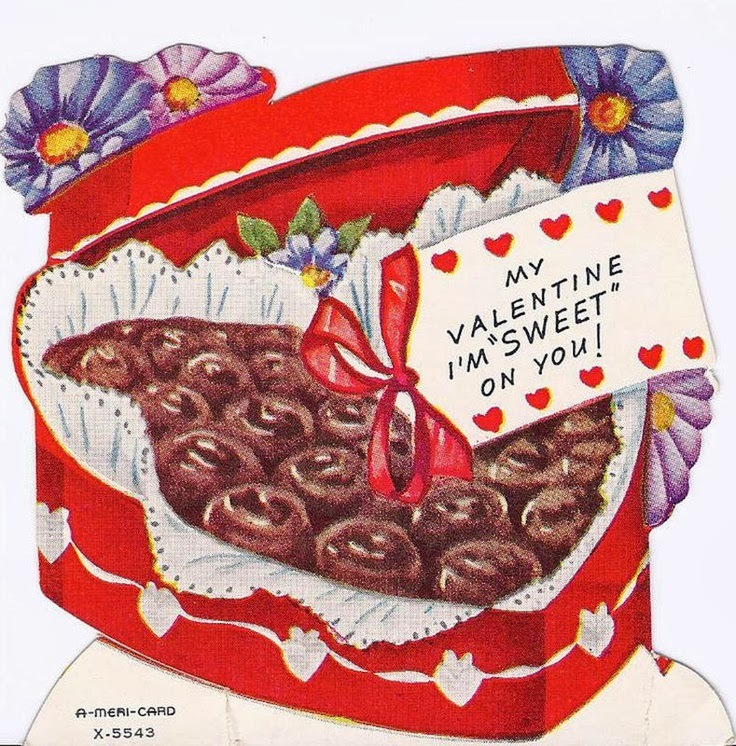 The authors of Reviews, Chews & How-Tos talked a little about Valentine's Day this week. Have you noticed that on the Internet, there seems to be an expectation these days to make it a huge deal? If we look at Pinterest, our homes should be nothing but pink and red, we should be creating a perfectly themed meal, receiving amaaaazingly intricate and romantic gifts, and our children should be happily dressing up as Cupid while engaging in complicated learning experiences involving hearts and flowers. For most of us, our reality doesn't really match up with that ideal - and we're mostly ok with that. We don't all celebrate the same, and certainly not with anything like that idealized fervor, but we thought we'd share a bit about what Valentine's Day looks like to us. 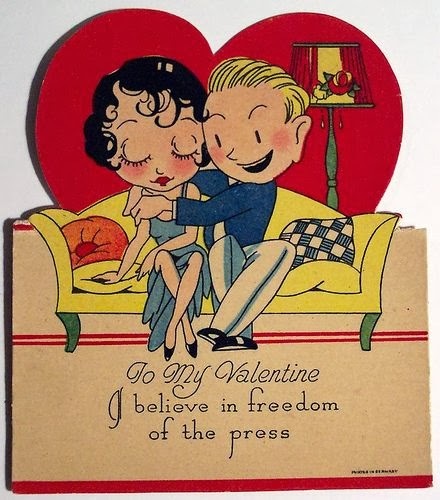 As much as I used to wish otherwise, Valentines Day has never been a huge deal in my marriage. We are always either working or broke. I am a typical girl and do tend to carry false expectations of a ‘Hallmark Holiday’ but I’m generally happy with a small acknowledgment and a dinner I don’t have to cook. My husband made the mistake very early in our dating relationship of a huge gesture he probably can’t top. Our second year together, I woke up to the first clue of a 5-part scavenger hunt throughout my house. Each stop included a small gift, like a teddy or chocolates, and another clue. It ended in a diamond tennis bracelet. This Valentines day we don’t have much planned. As usual, he has to work. So my day will be spent doing Valentines crafts with my four year old! A nice dinner out is a fine way to celebrate Valentine’s Day. Choose a place you both like (it’s not a time to experiment), one that is reasonably quiet and intimate, and splurge a little … this is a special occasion. I believe the purpose of celebrating Valentine’s Day at all is to express love for one another rather than wow with spectacle. The shared meal has a long history of bringing people together, and a quiet restaurant evokes a romantic atmosphere. With someone else handling the cooking and cleanup, the dinner allows you and your loved one time to sit, talk and share a pleasant sensory experience, away from the day-to-day routines. Happy Valentines Day everyone! 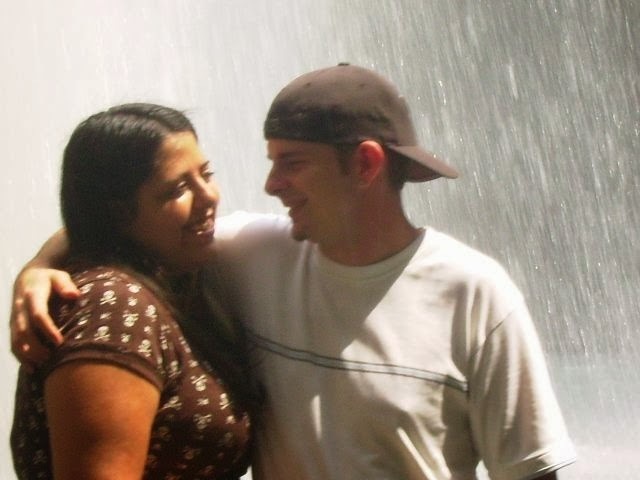 My hubby and I have been together for a little over 13 years now and Valentines Day is not our strong point. Honestly, we’ve probably done something different every year. From flowers and chocolates to dinner and a movie, we’ve done the normal couple date type things. Unfortunately, neither of us is very inventive or inspired when it comes to V-Day. Hubby has even gone so far as to call it “Hallmark Day” and boycott it all together. Now that we have a child, all of the holidays are more fun. Valentines day is no exception. My Bugaboo really loves anything pink so seeing all the Valentines decorations at stores just sends her into a reel! 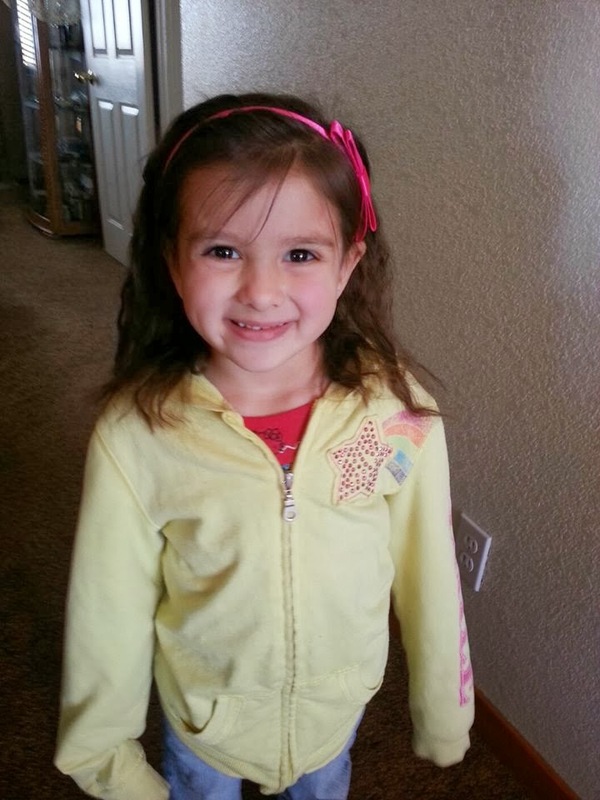 She is almost 5 now so she has a greater appreciation for holidays and also big expectations. This year I am planning on decorating her room while she sleeps so she’ll have something fun to wake up to. I’ve seen lots of great ideas on Pinterest and I’m planning on bundling a bunch of them together. Holidays are made more magical when viewed through your child’s eyes! I hope you have a magical day as well! Cheers! Valentine’s Day has just never really been big for my wife and I. I have a very hectic schedule at work and we have never really had much money. Usually V-day is celebrated by either going out to a nice dinner or making a home cooked meal for my wife. One thing I can say for sure is that there is always some form of chocolate! One of my absolute favorite ways to treat my wife on Valentine’s Day is with some exotic chocolates from Vosgas Chocolate. They have a very unique assortment of wonderfully tasty treats. Along with the candy bars and truffles they also sell the perfect wines to accompany them. She and I both love the stuff they have and have been repeat customers for years now. 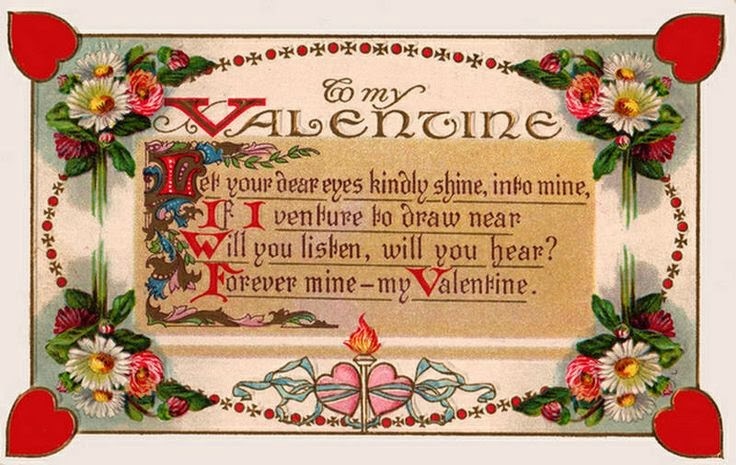 I used to love Valentine's Day as a kid - I enjoyed the whole process of decorating a shoebox to act as a 'mailbox', and picking out just the right set of Valentine's Day cards for my classmates. As much as it came with pressures to give the right card to the right person (not too serious, not too flippant, puns only to the punny people.... trying to explain to your mom why you just could not use that one weird card with a pig on it because no one would appreciate getting it .... and then the nailbiting wait to see if anyone gave you the pig...), it was so much more fun for me than adult Valentine's Day, which often has felt like a no-win situation - if you expect much, you'll be doomed to disappointment, but if you expect little, that often translates into people thinking you don't care about romance at all. It's taken me fifty years to realize and openly be fine with saying it - but I love romantic gestures. I like getting candy. I love getting flowers. I like to be taken out to eat and to be pampered. I like to make special desserts and have it noticed and appreciated. And what I also realize is that the reason I can openly say I like and appreciate these things is because I am married to someone who won't make me feel as if it's silly of me to enjoy them. Because it feels a little vulnerable to say "I like getting flowers", doesn't it? Because there's still that risk that someone might think it'd be hilarious to just give you that weird pig instead. You have to trust someone a lot to tell them what warms your heart. I like getting flowers, even if they're silly and ethereal. I don't particularly care if it happens on Valentine's Day - in fact 'any random Tuesday' would be a great time for romantic gestures! As long as Valentine's Day is a reminder to make these gestures and not simply a 'designed mandatory romance' day, that's a good thing. Valentines Day is where you draw Valentine pictures and you close them up and give them to your friends. You can also give them to grown ups that love you. Valentines Day is about telling people that you love them a lot. When you are a grown up you can make Valentines cards for your kids. Valentines day is also about eating candy. You can put candy in a bag and tie it with a rubber band, and give it to your friends. That makes them know that you really like them. How about you? Share with us in comments what Valentine's Day means (or doesn't mean) to you? Have you checked out our review of Tiffin Trove? Go check it out, and enter the giveaway for a months' free 3-meal box of homecooked Indian recipes and beautiful gifts from India. ~ Anything Goes Linky, Be Inspired, BFF Open House, Flaunt It Friday, Freedom Friday, Frugal Friday, The Party Bunch, Weekend Re-Treat. Good day my beautiful friends! I am so excited to be blogging about my daughters chore chart! 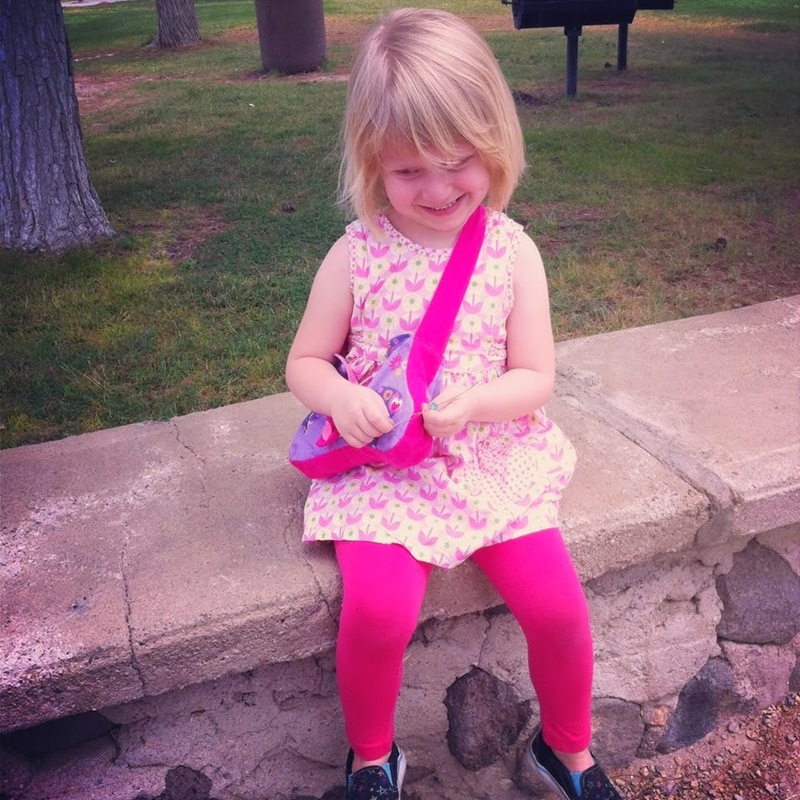 So, many of you know that I have an high spirited, 4.5 year old, only child. She is the light of my life! I am learning that if I want something to work I really have to give her free reign to get to know the idea and really see the ins and outs before it will stick. Such was most certainly the case with the Chore Chart! Lets see. . . I think it was about a year and a half ago that I jumped online looking for preschooler friendly household chores. I found a wealth of resources and ultimately decided to combine many of them to make my own program. I created the Chore Chart and explained the process to Bugaboo. She was interested at first and excited to help Mommy around the house. But as with all pre-k attention spans, it waned and fell by the way-side. We kept revisiting the chart at various times but she would just lose interest. Don't get me wrong, she was still helping out around the house. But it would only be when I hounded her about it. The idea of the Chart was to get her to self motivate. 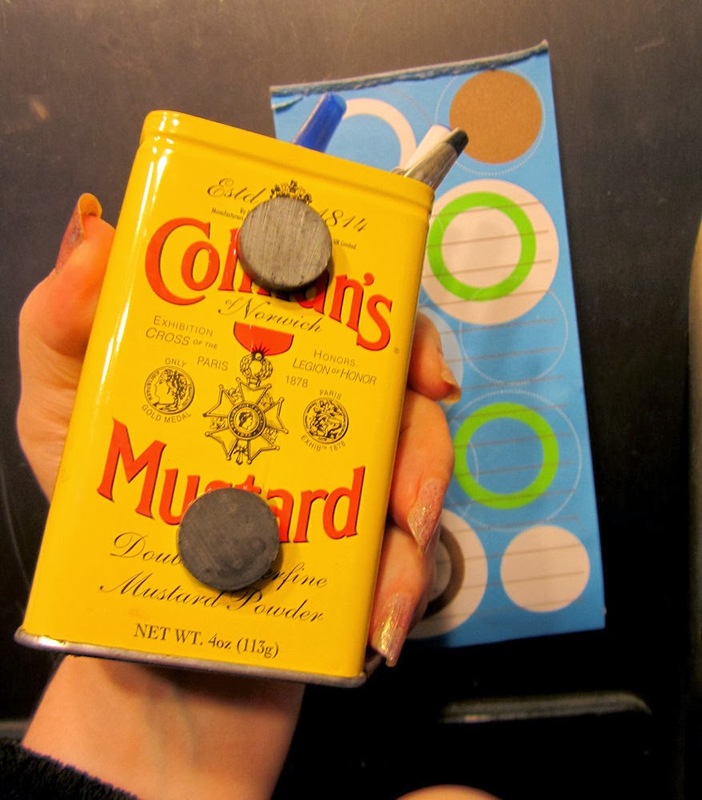 Cookie sheet+Spray Paint=Instant Magnet Board! Well, the chart has been hanging out on the fridge now for over a year with me consistently reminding her of its benefits. Lo and behold, the idea seems to have finally sunk in! She is now actively participating in the system and even reminding me when new chores need to be added! I'm so excited that its finally a working system because now I feel like I can share it with you! So, here is how the system works: There are about 25 different household chores that Bug can do. I have a cartoon picture of each chore with the words printed below them. Each card is laminated so it can be re-used. We chose four or five chores and place them on our magnet board. Each chore has a colorful ticket attached to the back. When she completes the chore, she moves the card from "To Do" down to "Done" and places the ticket in an envelope. After she earns five tickets, she gets to "spend" her tickets in our toy bucket. A few times a year, I'll go to the dollar store or the bargain bins at Target and load up on little toys, crafts and goodies to put in the buckets. Each item costs five tickets. When she chooses and item from the bucket, she hands her tickets into me and I keep them in a jar on the fridge! The "Toy Store" includes books, crafts, puzzles, little toys and candy. Chores that we have include: Clean up, wipe the table, tidy school room, make bed, set the table, empty the dishwasher, dust, feed the dog, clean your room, wash the mirrors etc. . I was able to find images for all of these by searching on Pinterest. I printed them from my computer, cut them out and laminated them all so they will last. I purchased this home laminator from Amazon and it gets a lot of use in our house. We also use a Gold Star Rewards system. Gold Stars are awarded when we have a really good day. For example, the other day Bugaboo decided to clean out her closet where all of her dress up's are located. She did this on her own with no prompting from either parent and she did an awesome job! She gets a gold star for that! When she has accrued 9 gold stars, she gets a special treat like a lunch date with Mommy or a movie theater date. Gold stars and tickets can also be taken away if we are having a particularly rough day of not listening. Not listening is probably the biggest issue we have with Bugaboo and she really hates it when she loses a ticket or a star. All I have to do is grab the ticket envelope and sit down with her and say, "Here are your tickets, are you ready lose them over this choice you are making?" Usually the answer is no, but sometimes she is just so stubborn she will lose tickets. She gets the chance to earn them back though, so it's been a really good system for us. It takes patience and a lot of explaining, but I think the benefits are awesome. Chore Charts teach personal responsibility, self confidence and the value of a job well done. Bugaboo is learning that you need to earn the things you want by working for them. Everything isn't just a given. She is learning that everyone in the house needs to do their part to keep things in order. Its important for us all to work together. It also helps to take pictures of how you would like things to look when they are "cleaned up". Kids are very visual learners and knowing exactly what you expect can make their "job" easier. That was a whole lot of quotes! LOL! I hope you all enjoyed my Chore Chart Tutorial. Please feel free to share, comment and ask questions! I'd love to hear your feedback! p.s. Here are links to some of the places where I found chore graphics. ~ A Round Tuit, Block Party, Busy Monday, Clever Chicks Blog Hop, Craft-O-Maniac Monday, Craftastic Monday, Frugal Crafty Home Blog Hop,GMTG Link Party, Inspiration Monday, Making Your Home Sing Monday, Marvelous Monday, Masterpiece Monday, Mix It Up Monday, Monday Funday, More the Merrier Monday, Motivation Monday, Much Ado About Monday, Sweet Sharing Monday. ~ All About You Link Party, Be Inspired, Brag About It Link Party, Create - Link - Inspire, Do Tell Tuesday, From Dream to Reality, Good Tips Tuesdays, Growing Homemakers Link, Handmade Tuesdays, Made By ME, Nifty Thrifty Tuesday, One Project at a Time, The Scoop, Share It Link Party, Share Your Stuff Tuesday, Take It On Tuesday, Turn It Up Tuesdays, Time To Sparkle, Tip Me Tuesday, Too Cute Tuesday, Treasure Box Tuesday, Tuesday Talent Show, Tuesday At Our Home, Tuesdays Treasures, Turn It Up Tuesday, Tutorial Tuesday, Two Cup Tuesday, You're Gonna Love It Tuesday. ~ Cast Party Wednesday, Fluster's Creative Muster, Homemaking Link Up!, Homemaking Party, The Inspiration Board, Lovely Ladies Linky, Mom's Library, Oil Me Up Wednesday, Party On the Porch, Penny Pinching Party, Pretty Wednesday, Show + Tell Wednesday, We Did It Wednesday, We Made That Linky Party, Wednesday Linky - Mommy Club, The Wednesday Roundup, Wednesday Whatsits, Welcome Home Wednesday, What We Accomplished Wednesday, What's It Wednesday, Whatever Goes Wednesday, Whimsy Wednesday, Wicked Awesome Wednesday, Wonderfully Creative Wednesdays, Wow Me Wednesday, Wow Us Wednesday, Your Whims Wednesday. Tiffin Trove Subscription Box GIVEAWAY!